"Attention Kroger shoppers! Grab a cart (or two!) 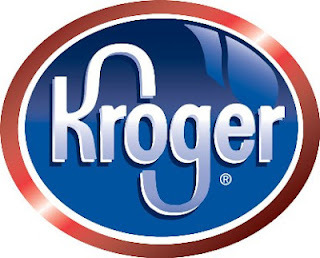 and head to your local Kroger Co. Family of Stores for the Kroger Buy 5 – Save $5 Event! From October 14th through October 24th purchase 5 participating General Mills products, and receive a coupon for $5 off your next shopping order* (coupon printed at checkout)! Look for some of your favorite participating General Mills products like Cheerios, Lucky Charms, Cinnamon Toast Crunch, Pillsbury Toaster Strudel, Betty Crocker Cake and Brownie Mixes, Hamburger Helper, Totino’s Party Pizza, Yoplait** and many more! Don’t let the savings pass you by! Fill up your cart and save with the General Mills products you love at the Kroger Buy 5 – Save $5 Event! If you’d like to participate in this Spark, we will provide you with a $25 Kroger Family of Stores gift card that you can use on the great savings available during the Kroger Buy 5 – Save $5 Event. We will also provide you with an additional $25 gift card for a family member, friend, or blog reader. * Products must be purchased during one shopping visit. To view a list of participating products see your store for details. The $5 coupon offer off your next shopping trip offer expires 1 week from the print date, with the coupon prints ending October 24th. Any offers printed on October 24th will expire on October 31st. You can find Kroger on Facebook and Twitter. You can learn more about your favorite General Mills products on their website. Giveaway will remain open through October 22nd. Giveaway is open to residents of the US only. One winner will be selected through Rafflecopter. The winner will have 48 hours to respond or a new winner will be selected. No compensation was received for this post. The gift card, information, and additional sample have been provided by Kroger and General Mills through MyBlogSpark. All opinions expressed are entirely my own or that of my family. I'd get Yoplait and Cheerios. I want to get Lucky Charms! I plan to buy Cheerios. Love 'Honey nut cheerios' at home, would stock up on that. Thanks for the giveaway. thanks for sharing the kroger deal! Cherios for my toddler and Yoplait for me. I would stock up on Betty Crocker Cake Mixes! I will buy cinnamon toast crunch because it's so yummy! We would get Cheerios. We go through a lot of them. I plan to get Hamburger Helper and Yoplait. cheerios are a favorite in our home. I went to Kroger yesterday for the event I bought Coca Puffs, Lucky charms, Cinnamon Toast Crunch, Betty Crocker Mac N Cheese, Betty Crocker Potatoes (a variety), Toaster Strudels, & Pillsbury Egg Scrambles & Pillsbury Grands Biscuit Sandwiches. I felt like I hit the jackpot at the end of my shopping trip!! I'll be buying lots of GM cereal. We ate a lot of cereal in our house.